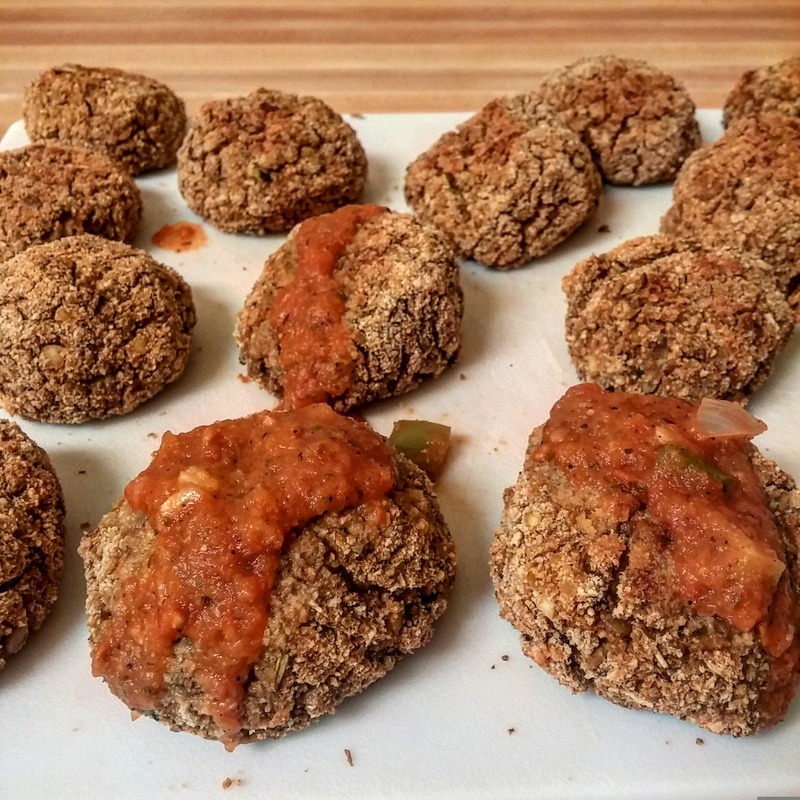 Vegan Lentil ‘Meat’balls – Love. Nourish. Heal. Who doesn’t love a warm plate of spaghetti & meatballs? Growing up in my household, this was a staple meal. Dad’s meatballs were the BEST! Then I went vegan, so I had to say goodbye to one of my favorite meals, but not for long! 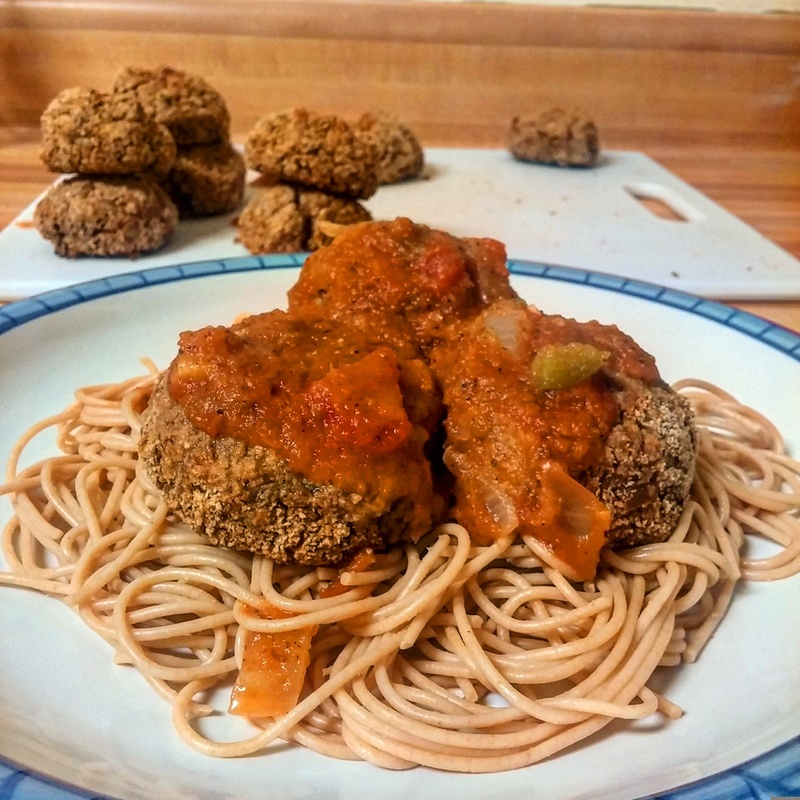 It didn’t take me ages to find a vegan recipe for meatballs; it only took me ages to post about it. Grease your pan or use aluminum foil. Both work fine. The only other catch is finding the right pasta. You know, the kind that doesn’t make you feel guilty for even looking at it. I am a huge fan of Ancient Harvest and all of their quinoa products. They make a great quinoa spaghetti that I recommend to all. Preheat oven to 375 F. Grease a baking sheet pan with vegan butter, or oil, or anything you usually use when greasing your pans. In a skillet, saute coconut oil, onions and garlic. Add the zucchini and cook until light browning forms. You don’t want to cook these too much since they will cook in the oven. Throw the mixture into a food processor and add the cooked lentils, italian seasoning and rosemary. Blend until the mixture has a few chunks, but the majority of it is smooth. Move to a separate bowl and add the 2 flax eggs. Mix well. Slowly add in the oat flour (you might need all of it) and fold the mixture together. If the mixture is too wet to form into balls, then add more oat flour. 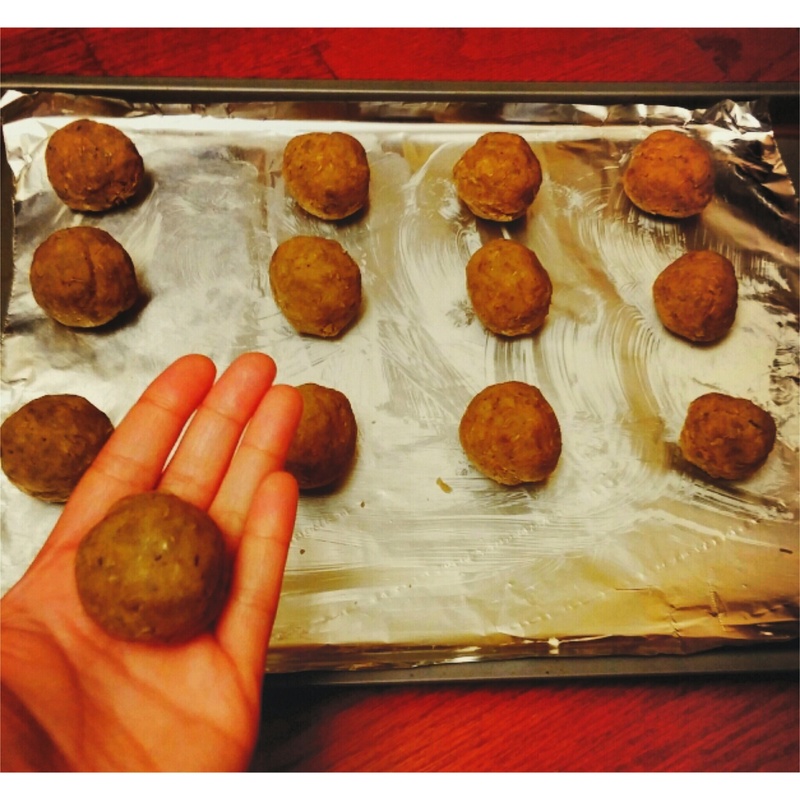 Using your hands, take a small handful of the batter and form it into balls. (Optional) pour the bread crumbs onto a plate and roll each ball around in the crumbs until covered. Lay the balls on the baking pan so they are not touching. Bake for 15 minutes. Flip the balls around so each side can be fully cooked . Bake for another 15 minutes. Let these cool by getting your spaghetti and sauce ready.